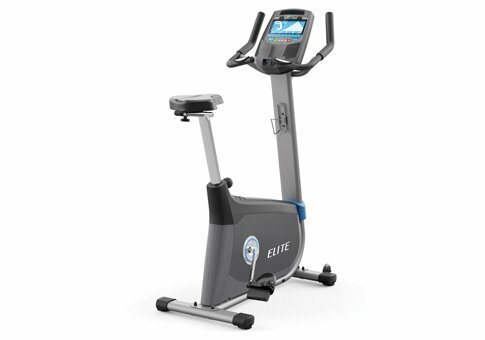 The Horizon Elite U7 is the higher end upright bike from the company, with advanced features and workout tracking capability not found on the base Comfort U model. The Elite U7 has an extra wide 8.5" LCD display which shows important workout stats such as distance, calories, watts, heart rate, speed, RPM and resistance level. Get the popular Elite U7 bike at the Horizon store now! The Elite U7 is very well priced, especially for the amount of features you get according to expert reviews. Horizon currently offers two recumbents: the base Comfort U model and the U7, priced about $300 apart. The U7 steps it up with a larger display, increased resistance levels, more built in workouts and a heavier flywheel for a smoother ride. So if you are looking for something a little more substantial, the Elite U7 would be the way to go. There are 25 different workout programs to choose from, as well as 20 different resistance levels. So you can really change it up and choose a different combination every time you work out...or change it during the workout with easy touch buttons. Another major difference between the base and up-level models are ViaFit workout tracking and Passport videos, which can also be found on the Elite R7 recumbent version. ViaFit allows you to track all of your workouts by syncing them to your favorite fitness apps. That way you can keep tabs on all of your workouts and see exactly what you are doing each time. This helps you tweak your workouts to maximize your results. Passport technology syncs with your TV, via a separate module, to show high definition footage of two destinations. So it's as if you are actually riding on those courses...the machine will also adjust its intensity to match the course. 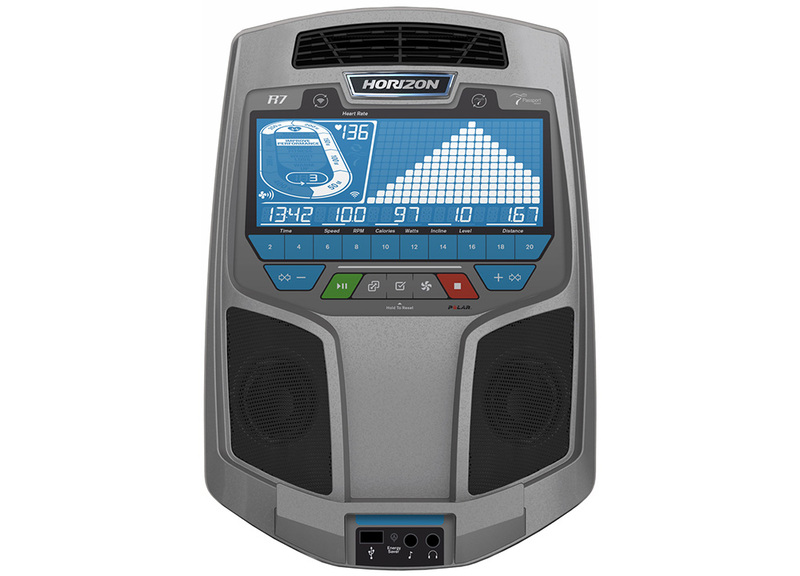 Besides ViaFit and Passport, the Horizon Elite U7 gives you plenty of other great features: built in speakers, magnetic resistance, wireless heart rate monitor, a reading rack, bottle holder, fan and energy saver mode. Another highlight of user reviews includes the fact that the bike is comfortable and easy to use, with a lot of adjustability to get the perfect fit and a smooth ride all the way through. The Elite Series bikes from Horizon have a lot to offer, especially considering the price point. You'd be hard pressed to find all of these features in a similarly priced bike. The Elite U7 gives you a ton of workouts and resistance levels, a smooth, quiet ride, wireless heart rate monitoring, high adjustability plus workout tracking through ViaFit and Passport technology. That'a about everything you could need, and it is all given to you for less than $900 when it's on sale. Take a look at the Comfort U as well if you want to save a few hundred, but keep in mind that it doesn't have a lot of the great features that the Elite series has. Get more info and special sale pricing on this exercise bike here!